I haven’t made pepperoni bread in quite a while, so when K asked for spaghetti for dinner, I knew I wanted to make this instead of garlic bread to go with it. Bread dough or pizza crust dough. 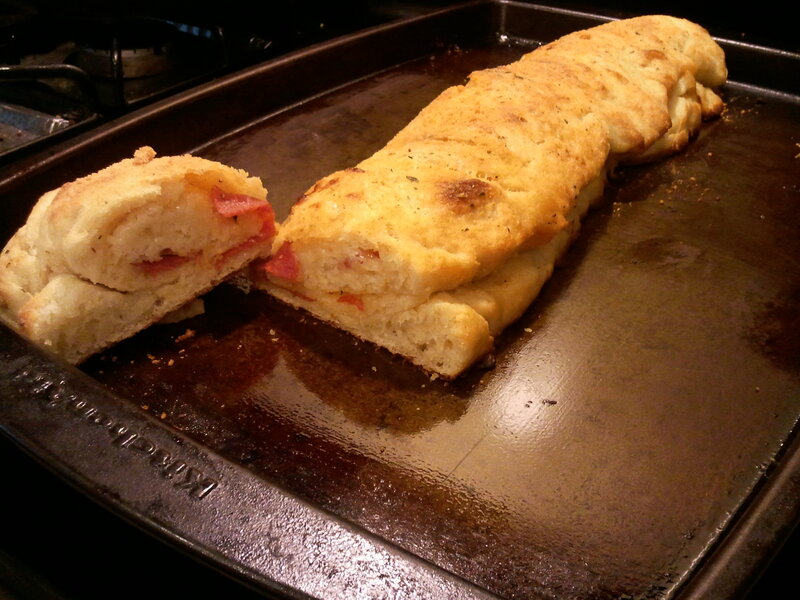 For this time, I used two 6.5 oz pouches of pizza crust mix, but I have also used the Pillsbury french loaf and pizza crust from the refrigerated section. Spray a baking sheet with olive oil or cooking spray. 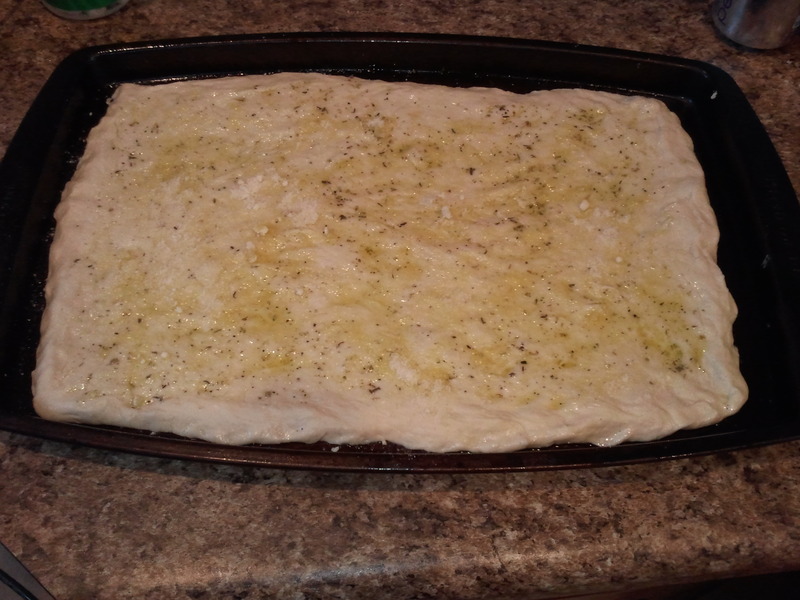 Spread dough into a rectangle on baking sheet. 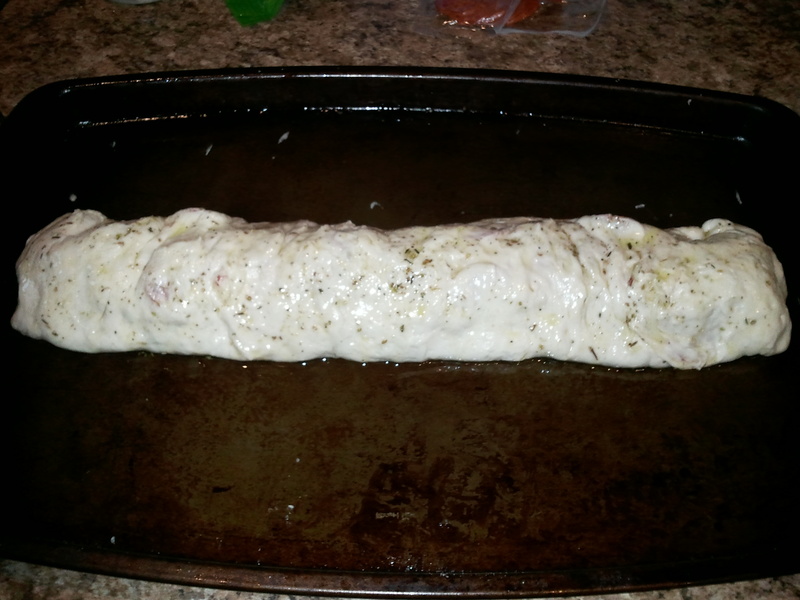 Brush with olive oil, then sprinkle with Italian seasoning, Parmesan cheese, and mozzarella cheese, leaving an inch border around the outside. 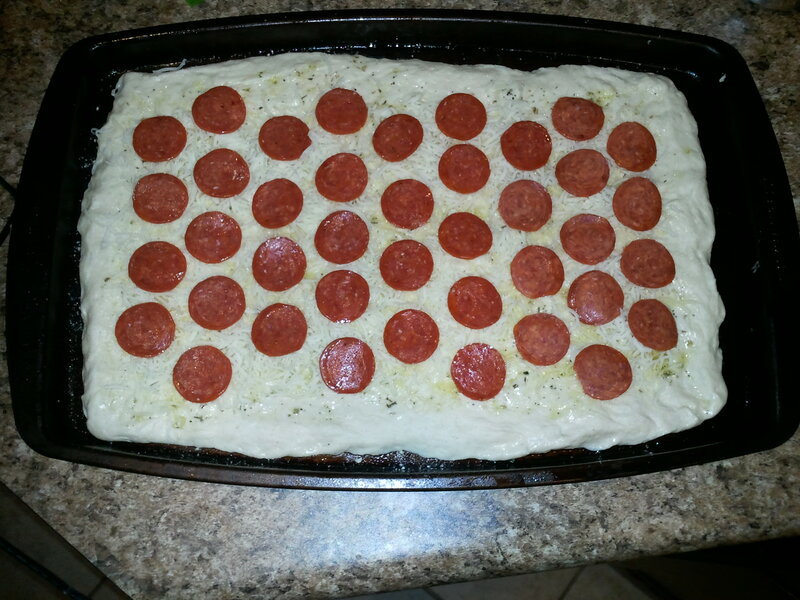 Lay out the pepperoni. If you like a lot of pepperoni, use more pepperoni. If you like less pepperoni, use less pepperoni. Then, roll up the dough lengthwise. Place seam side down on the baking sheet and seal the ends. Again, brush with olive oil, then sprinkle with Italian seasoning and Parmesan cheese. Bake at 450 for 10-15, or according to the directions for the dough that you bought, until golden brown. Serve with marinara sauce for dipping.